Jason Sargis, DAOM, Dipl. Ac., L.Ac. These are words we have long awaited in NJ and are a victory not only for acupuncturists in NJ, but those practicing nationwide. This is a victory for which we want to thank our membership, the NJ Medical Society, and our lobbyist Paul Bent. We realize that we cannot rest on our laurels and must continue to fight for our profession. Legislation can be introduced to allow for the co-option of our profession at any given time, but NJAAOM remains a vigilant stalwart to protect our profession. The opinion rendered by the NJ AG is decisive and unambiguous, and will ensure that no other professional board utilizes the same tactic the PT board did when it used negative logic to expand the PT scope of practice. · For the reasons expressed below, under the current statutory construct, physical therapists are not authorized to engage in the practice of dry needling. · Traditionally, the modalities used in physical therapy have not involved the piercing of the skin, witness the treatments delineated in the definition above which do not involve invasive procedures. · Nor is it reasonable to conclude that the Board possesses the authority to so significantly expand the scope of practice to include dry needling through the regulatory process. · However, the Assembly Bill was referred to the Regulated Professions Committee which in a statement dated February 22, 2016, reported on an amendment removing all references to “intramuscular manual therapy.” Additionally, the fact that such an amendment is viewed as necessary to expand the scope of practice speaks in some measure to the absence of a present authority. 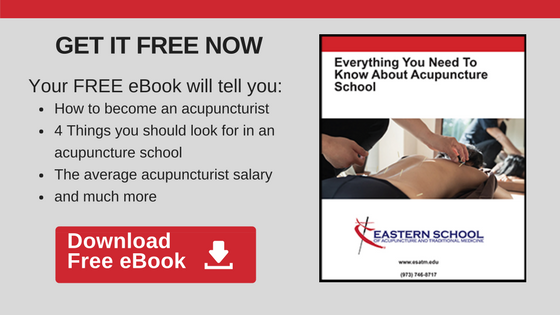 · Significantly (NJ Acupuncture Regulations) does not include physical therapists among the practitioners authorized to engage in acupuncture — a practice that explicitly involves the insertion of needles. This was a hard fought victory and there is more work to be done. It is the state associations that have the legislative experience and political proficiency to protect our profession. Like all state associations, it is with member support that NJAAOM exists and is able to financially achieve its goals. The ability to remain vigilant and execute coordinated policy is limited by funding. For those who are not members and find value in NJAAOM’s efforts, please consider joining. Together we will protect the profession and secure our future.